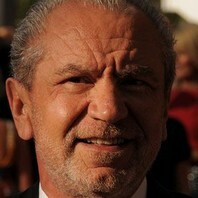 Self-made multimillionaire known as The Sugar Lord, who became the star of BBC's version of reality show The Apprentice. He was the chairman of Tottenham Hotspur from 1991 until 2001 and he founded the electronics firm, Amstrad (Alan Michael Sugar Trading). Ossie said he was the man he wanted. I don’t remember him from the World Cup but I am sure he impressed me.